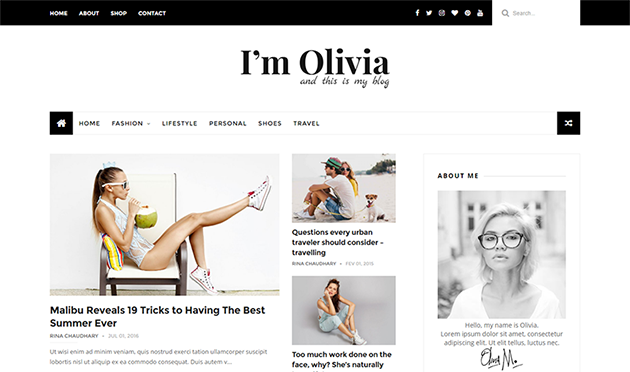 Olivia is a light & minimalistic Blogger Template perfect for lifestyle bloggers & magazines. It has so many amazing features that will make your blog or magazine stand out among others. It is a Perfect choice for your Lifestyle blog layout, Personal blog, Niche blog, Fashion blog, authority blog or any type of creative blog or simple magazine. It has a responsive design meaning your content will be displayed beautifully on all mobile devices. If you are looking for Minimalist blogger template then this is best option for you.